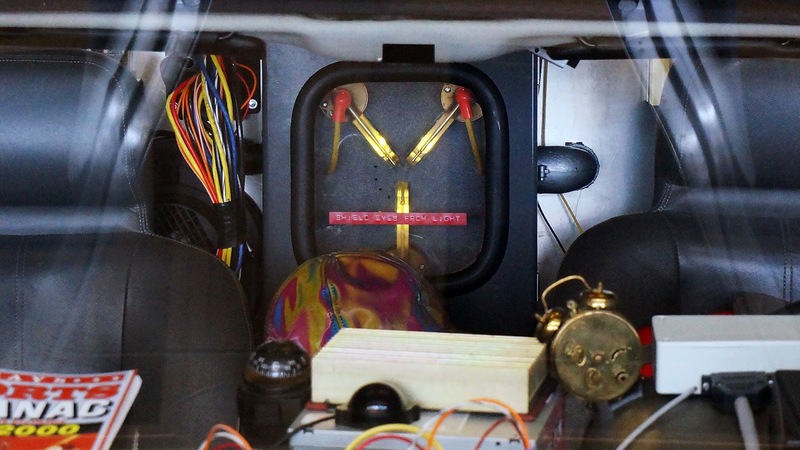 There was simply nothing like meeting the Flux Capacitor in person. What a good-looking guy. I always thought he should have at least been nominated for best supporting actor in Back To The Future. Remember that episode of the show when you thought that anything with wires hanging out of it was nothing more than a dirty hippie and you started giving all the appliances a "haircut". That was a cool episode because you wound up cutting off all the electricity and we had to shoot all in the dark and all you could see were our eyes and your spectral glow. And Computer-Head's face. Oh and Bill melted down to a puddle again. That was the best day of my spectral life. When you leave a comment and then delete it, it's sort of like farting on the blog. Whereas actually leaving a comment is more like pooping. Especially when you comment. As in, especially when you, Sudsy, leaves a comment. When Sudsy comments it's more like a poo. Hold up, Pecos. I was raised to believe that poo and poop are the same. Is this another lie that my parents told me? Like the only kind of steak is a tendon and gristle-riddled cut known as shoulder? Or that one about Thom McAnn being the coolest. There was also that winter my mom convinced me that tucking in my sweatshirts would be up my fashion cred in the 7th Grade. Thom McAnn WAS the coolest. Until I discovered Buster Brown. Tucking sweaters is a good look for those that can pull it off. You gotta have a bit of a gut/belly for it to work properly. And I am not sure about the difference of poo or poop. I just threw it out there to see what would be said. Poo is what animals do, poop is what humans do? Is that how it works? Or vice versa. I will start correcting peopleb regarding the poop rules. Not unlike the syntax police and the grammar nazis. -Who or whom, poo or poop. Talk amongst yourselves.